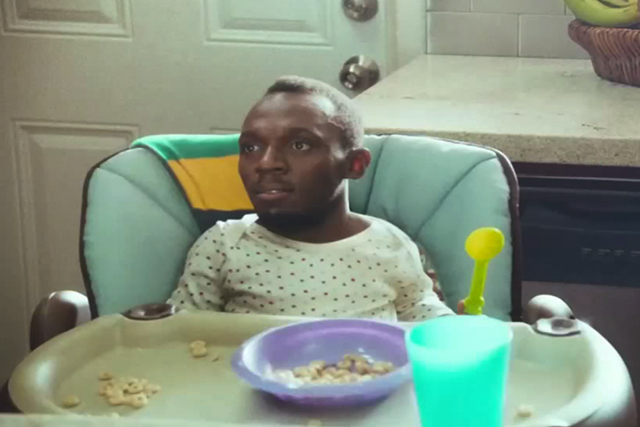 A Virgin Media TV ad starring superstar runner Usain Bolt has been banned for having insufficient information. The ad has been banned by The Advertising Standards Authority (ASA) following complaints by BT and Sky, which claimed the broadband provider’s website was "misleading". BT challenged whether a claim in the TV ad, which stated, "You'll be able to download five times faster than BT's regular broadband" was verifiable. Virgin argued that it directed TV viewers to a website where information allowed comparisons to be made across broadband suppliers. The ASA said it noted the relevant web page but said no further details were provided about the nature and the methodology of the tests on Virgin's own network or of the data behind its headline average speeds. The ASA concluded the information was not sufficient to ensure the comparison could be verified and found the ad breached the BCAP code in this respect. Both Sky and BT challenged whether the term "download five times faster than Sky and BT's regular broadband" was misleading and could not be substantiated because they considered it was an absolute claim. It implied that all Virgin Media customers would always be able to "download five times faster" than Sky’s and BT's broadband customers, which they understood was not the case, because the claim was based on average speeds. Virgin Media said the small print made it clear when people would be able to download five times faster. However, the ASA found that the ads did not make immediately clear the claims were based on average speeds and concluded the ads were misleading. The ASA said the ads must not appear again in their current form and the ASA told Virgin to ensure it provided sufficient information about comparisons to allow them to be verified and not make absolute claims if they could not be substantiated.